Everyone is aware of the need for a utility transport vehicle on the farm, and their availability is certainly widespread. Rather than try to list a full range of sources for this kind of tractor attachment, we have chosen simply to cite examples of what is made and offer a few build-it-yourself plans. When selecting a trailer design, here are a few points to consider. 1. Capacity—both size and volume, can side extensions be added on, bought or built? 2. 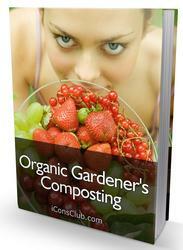 For hilly terrain, a long bed, low to the ground, with a wide tread is best. 5. The longer the distance between the hitch and the axle, the easier it is to back into places. 4. Do you need a trailer that can dump? 5. Match a trailer to your needs and to complement the power source pulling it with a maximum load. 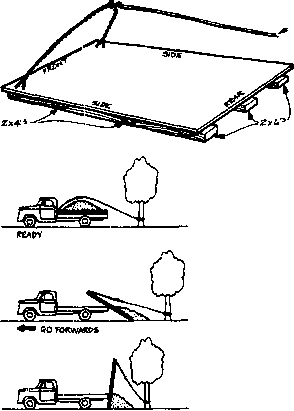 Tim Sanford of Alexander, Maine, was kind enough to send us these plans for adaptation to a pickup truck he has found useful. It simply involves building a platform to At in the bed of a truck, but not fitted around the wheel welts. It must be free to slide out of the truck. A sturdy chain arrangement is attached to the front of the platform as illustrated, to which a fixed line will be attached. As the driver slowly goes forward, the platform and load will be neatly left behind but not in a dumping position. The driver then slowly backs up and pushes the load into a vertical position so the material slides off the platform. the platform and load will be neatly left behind but not in a dumping position. The driver then slowly backs up and pushes the load into a vertical position so the material slides off the platform. Plans for a roll-out dump box are available for $3.75 (as of fall. 1977). 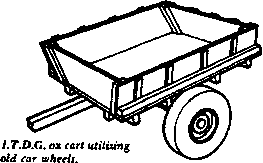 This cart uses the front wheels from an old car or lorry. Wheel mountings are cut off and welded to a box-section axle fabricated from angle iron. The cart chassis and body are constructed of wood, and all parts are bolted together. Designed to carry a load of 1,400 pounds, this cart is pulled by two oxen. 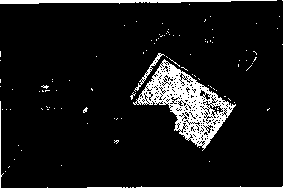 The wood-block axle bearings, each made of two pieces of wood, are oil-impregnated by soaking in hot oil, and the axle bearing hold is drilled centrally through the block*. This bearing design facilitates ease of maintenance and renewal of the bearings by carpenters in rural areas. 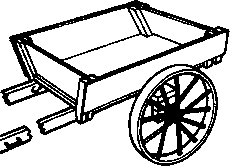 Designed to carry a load of 1,400 pounds, cart is pulled by one donkey or an ox. The wood-block axle bearings are oil-impregnated by soaking in hot oil before drilling and assembly. Both the front and back boards of the cart body are removable. The cart shafts can be made of tubular metal pipe instead of timber for extra strength. 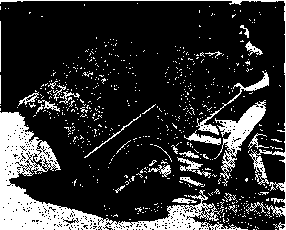 All the above plans are available from: Intermediate Technology Publications, Ltd.* 9 King St.
Plans for a nonwheeled carryall bed to be attached by a three-point hitch to a hydraulic lift system of a tractor are available for a slight charge. The Heal<1 Hauler Ileal«!, Inc.
speedometer, knob tires, and spark arrest muffler are options. The Hauler covnrs in easy-to-build semtkit form with all parts furnished. The engine and transmission come assembled and are mounted on the welded and painted frame. The tires are mounted on the rims, so all that is required is to boh the various parts together using an easy-to-follow step-by-step procedure. Construction time averages 6 to 8 hours. 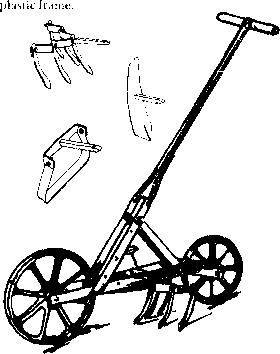 The bike barrow was designed by Jay Welsh at the Foundation of Self-Sufficiency Research Center, 35 Maple Avenue, Catonsville, MD 21228 as a simple pushcart to be built from recycled materials. The three-wheeled cart, built from two discarded bicycles, two-by-fours, and plywood can be maneuvered by one or two people. Plans presented in the May 1977 issue of Rain magazine are available by purchasing that issue. Fayette offers models of wide-bottomed trailer carts 4 feet wide by 6 to 8 feet long that carry up to 1,200 pounds. Rugged wheels are designed for transport across the. country or around the corner. Three sizes with a wooden body arc available as kits or finished carts.